The “ever-ready” -USA, China and Russia countries are not afraid for the WW3 as they know they may not win,but they know with they can bear suffering and enjoy giving a worst suffering to each other. USA and Russia are two countries that instigates a war with their invisible presence in the name of dictatorship oppression or hedgemony happening in other countries. In fact, these countries’ leaders are acting as dictatorship in place of peace process. The word “Democratic” or “Republic” doesn’t make any difference to public, as dictators always have been oppressing people in some way. In a nation, people diversity is very natural, however, they need to understand that “If u a group needs a space, then, so does other groups”.I want to know why MUSLIMS are targeted in media badly? When only 2% of crimes are conducted by them, where 98 % are others. U want to WW3 by instigating to attack US Soil by ARAB nations like the Pearl Harbour. Rule No. 1 : Each human holds a right to choose a religion. Do not force others to choose or reprimand others’ religion (Just follow what you like the best). Dialogue is better than war. Rule No. 2 : Human wants to be like a Free bird flying in 3 dimensional atmosphere. So, let their inner dreams, desires and capacity to germinate. Rule No.3: Human should value its virtue rather than anything. Everybody should understand it. It expounds the meaning of Helping others. Earning good Karma. Everything is weighed as good or bad. Financial interest makes life comfortable, doesn’t give happiness totally. Rule No. 4: If there are ever occur WW3, there are 190 nations worldwide. All other nation should unite and start a dialogue against it because there’s no point of WW3. Only 3 people’s decision can not bring millions of human loss for no apparent human development. What have we gained from WW1 and WW2? Nothing but pains and sorrows. If there again ever be war, then, the front-liners should be President, Vice-presidents, Government administrators, then, Military leaders and then, Public. Will they be ready? it is easy to place others in front-line of a war. Display your prowess of forgiveness, empathy and compassion. Not in raging a war. 5. 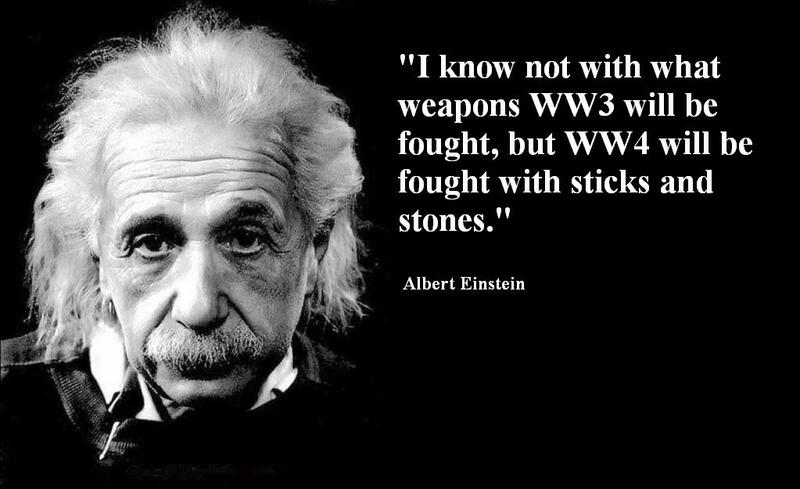 Few people that can be easily counted on finger tips (politicians, finance leaders etc..), their ego & greed make WW3. 99% public, normal people do not like war. Now, these people should wake up. I just want to say, “People Wake Up”. The ultimate truth is that “There is no real threat from each other. But, the fear hidden elusively inside in mind, will bring forth WW3”.